After graduating from The University of Baltimore in 1994 with a BS in Criminal Justice, Tina returned to college in 1996 and obtained a certificate in Paralegal Studies from Anne Arundel Community College as well as Business Studies. Over the past 18 years, Tina has worked on both the Plaintiff as well as defense side of personal injury, medical malpractice, and product liability cases. 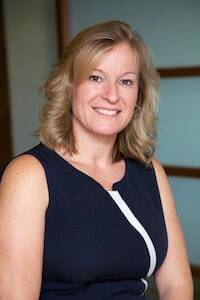 Tina joined the Miller & Zois family in August of 2008 as a litigation paralegal handling primarily medical malpractice and serious injury motor vehicle accident cases. While she mostly manages Justin Zuber's caseload, Tina's is often pulled into Miller & Zois' largest cases to take advantage of her unique skill sets. Tina lives in Severn (Anne Arundel County) with her fiancée, her beautiful daughter, and her two dogs and a cat.. She currently plays competitive co-rec soccer for Howard County Parks and Recreation, as well as teaches aerobics for a local health and fitness club.